This global trial had been ongoing for 14 months and enrollment was slow due to extremely complex logistical requirements for tumor sample collection & analysis. This global trial had been ongoing for 14 months and enrollment was slow due to logistical complexities associated with fresh tumor sample collection & access to a leukapheresis lab. 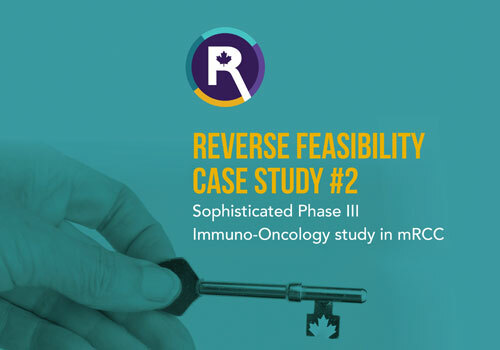 The client had been told by their CRO that expansion to Canada was not a good option due to a lack of investigator interest and limited lab capabilities. See how Canada started-up 5 sites in just over 9 weeks while recruiting 4.67 patients per site compared with 1.82 in Europe.